The EM2 is a transmissive optical encoder module designed to offer 2x or 4x higher resolution than the EM1 encoder module. This module is designed to detect rotary position when used with a US Digital code wheel. The EM2 consists of a lensed LED source and a monolithic detector IC enclosed in a small polymer package that is identical to the EM1. The EM2 uses phased array detector technology to provide superior performance and greater tolerances over traditional aperture mask type encoders. Selecting the right encoder for a unique application can be a daunting task for the design engineer. This whitepaper covers commonly asked questions when considering encoders for motion control applications. 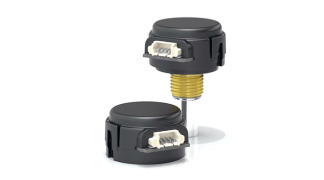 From basics such as mechanical configuration and absolute versus incremental to the differences in accuracy and resolution, "Encoder Basics for Motion Control Engineers" will shed some light on the encoder selection process. 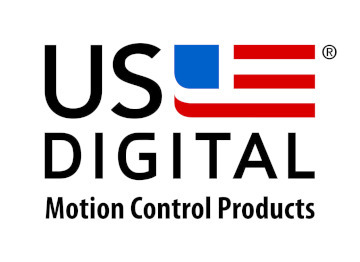 US Digital produces hubs and shafts with tolerances based on the ANSI B4.1-1967 (R2009) standards, specifically the LC5 (Locational Clearance) fit class, and recommends that customers conform to the same tolerances for best fit and performance when using US Digital encoders. Visit this link for more information.